Are you ready to watch other people travel the world while you yell at the TV screen, "The clue is right there, ya damn idiot!" The Amazing Race is back for its 19th season and has a Survivor super-couple along with some interesting teams. This means it's time for me to peruse the CBS website and make my winner prediction. Andy and Tommy remind me of one of my favorite teams ever: the hippies. Friends often do well on this race and they seem athletic and not super stressed, which is the downfall of a lot of teams. It's the married and dating couples that really get into heated arguments. It was tough because I think Ethan and Jenna, both winners of Survivor and Ethan is a cancer survivor, are top contenders too but racing is different than Survivor. Not everyone had videos, but based on bios alone I did like Amani and Marcus. He's a retired football player and she thinks he looks like Idris Elba. Can't beat that! But Andy and Tommy... I see them going far and, fingers crossed, winning. 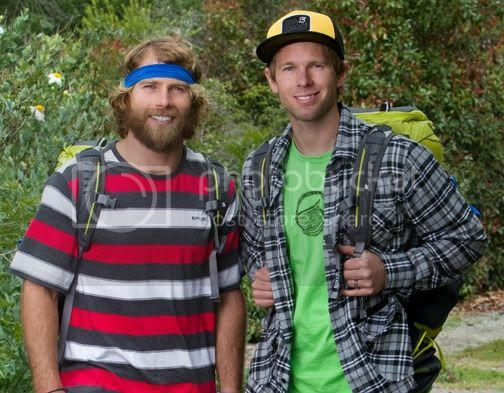 Who do you think will win The Amazing Race? Leave your prediction in the comments. Get it right and you'll get a shout-out at the end of the season. Andy and Tommy had just been eliminated. My favourite teams are Ernie and Cindy,Andy and Tommy, Bill and Cathi. Now only one of my favourite team is still in the Race.